Andrejs Vasi?jevs is the CEO and Rihards Kalni?š is the Business Development Manager of the European language technology company Tilde, which specializes in developing multilingual tools for a wide range of languages. Multilingualism is a core value of the European Union, as integral to Europe as the freedom of movement, the freedom of residence and the freedom of expression. The European Charter of Fundamental Rights, which enshrines the foundational rights and freedoms protected in the EU, upholds a respect for cultural, religious, and also linguistic diversity as a cornerstone of European policy. Europe’s commitment to linguistic diversity is most clearly apparent in its unwavering decision to maintain 24 official languages in the EU – no matter how large or small their speaker populations. 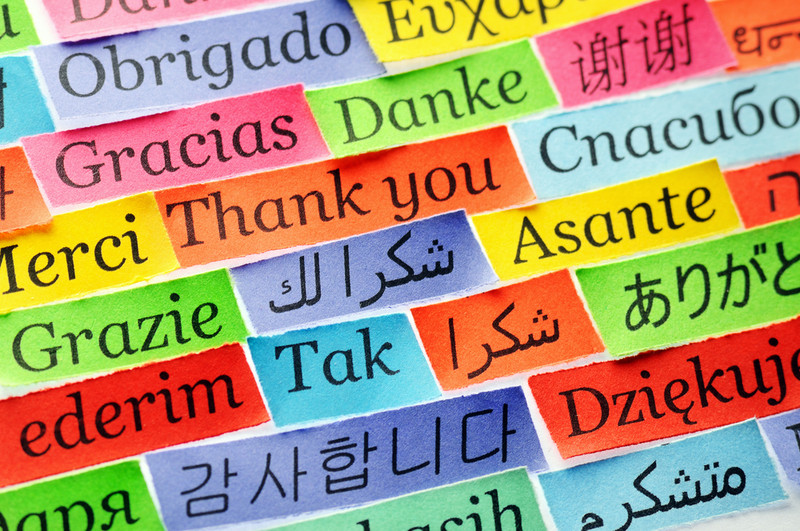 Though Europe’s multilingualism is a fundamental cultural and social value, its treasured linguistic diversity can also lead to significant communication barriers between people. The upholding of “unity in diversity” remains a difficult challenge. The effects of linguistic fragmentation can be seen most clearly in maps of language use on social media sites such as Twitter, where conversations are mostly restricted to national languages and thus limited by geographic borders. As these fascinating maps make all too clear, language barriers can hinder the free flow of information and knowledge between nations, effectively fragmenting Europe into “language silos”. Language barriers also represent a major obstacle to the creation of the Digital Single Market, which seeks to combine the 28 national digital markets, harmonising regulations and uniting all 500 million citizens of the EU in a single online marketplace. At the moment, as a Eurobarometer study shows, more than 40% of Europeans never purchase goods or services if they are not available in their native language. Language barriers therefore severely restrict access to goods for European consumers, hindering the creation of a Digital Single Market. Just imagine: a digital market where absolutely all online content is instantly available in all the languages of the European Union; where Internet users can interact seamlessly in real time with one another regardless of the language they are speaking or writing; and where goods and information can be searched for and accessed no matter where it was posted, or in which language. Where to begin to realise this vision? Fortunately, European excellence in language technology research and the thriving language technology industry has already laid the foundations for a viable solution. This includes recent breakthroughs in services from fields such as natural language processing, machine translation, text analytics, speech recognition, multilingual SEO/SEM, and semantic analysis. This is where European policy makers can step in and help, by setting up a public language technology infrastructure – the European Language Cloud – which would ensure easy access to key enabling language technologies for all EU languages. This would make these enabling services easily available to developers and integrators of commercial and public digital solutions. Once a solid European Language Cloud infrastructure is in place, commercial players and public sector organisations could then use the available language technology services as buildings blocks, or core components, to create innovative multilingual solutions for their high-demand applications. At the same time, the European Language Cloud must be continuously replenished with new services and innovations. The driver of this innovation is the cutting-edge language technology research emerging from Europe’s universities and research centres. However, several “knowledge gaps” still exist in research, and often our research doesn’t fully evolve into commercially viable applications. How to implement this vision? The European Commission already has the right instruments in place – an encouraging sign. The Connecting Europe Facility programme is taking the initial steps to create an automated translation infrastructure for Europe. Public institutions across Europe have already begun to reap the first fruits of this programme, which should be significantly expanded to include other essential language technologies as well. Breaking the language barrier in Europe is essential to make the EU more united in its diversity. A slightly expanded version was originally published on the Blog of LT-Innovate, the Association of the Language Technology Industry. Do you mean ‘Europe’ of 50 countries, the EU of 28 countries, Schengen of 26 countries or the Eurozone of 19 countries ? Please try and get the basics right, as a news outlet you should know better. The vast majority of Europeans can speak the same language (English) & practically every school in Nation States in the EU teach English so are the EU fanatics going to waste yet more of our money on their ‘European Language Cloud’ ? Looks more like another vanity project for the pointless Eu at a time when the peoples of the EU can least afford it. Surprising you have not mentioned EU’s own in house machine translation. Why this cannot be made available to citizens of the EU eludes me. Don’t know why they shouldn’t.